CLACKAMAS, Ore. – Oct. 23, 2018 – Fall is in full swing, with crisp mornings, crunchy fallen leaves, and bushels of freshly picked apples. 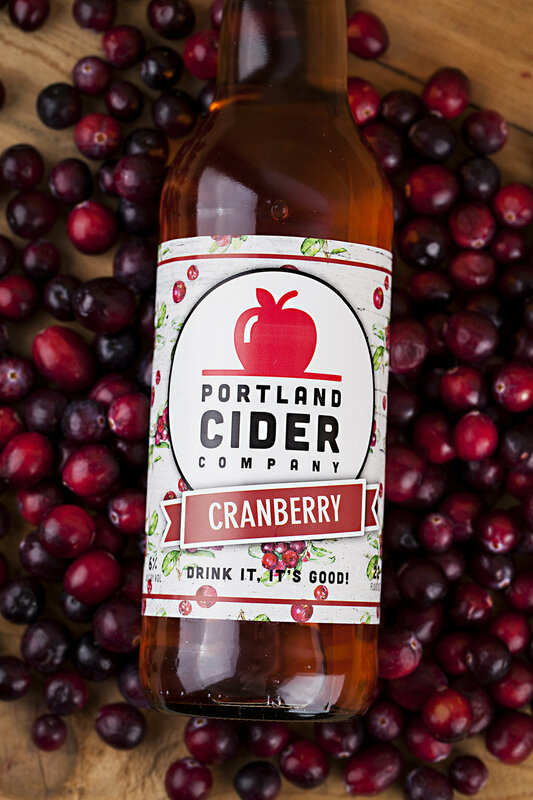 Portland Cider Co. is celebrating the season with the release of its popular Cranberry Cider, which will be available on Thursday, Nov. 1. The deliciously rich, cranberry-forward cider is a blend of fresh Northwest-grown cranberries and apples. Slightly tart and semi-sweet, with a rich apple flavor at its core, it is reminiscent of fresh cranberry relish. The cider is 6% abv. With tart notes of zest, ripe cranberry and rich apple, this full-bodied Cranberry Cider is the ideal complement to the Thanksgiving meal. It pairs especially well with turkey, which is why, to celebrate its release, Portland Cider Co. has partnered with Portland Creamery on an epic Turkey Sandwich food special, featuring the latter’s classic Oregon Chevre and a cranberry compote using Portland Cider’s cranberry cider and fresh cranberries. The limited special will be available at the cidery’s two Portland-area locations while supplies last. Portland Cider’s Cranberry Cider is also part of the #PickCider campaign, sponsored by the United States Assn. of Cider Makers, which celebrates Thanksgiving cider inspiration. Cider makers across the country are going back to their roots and creating truly spectacular ciders that celebrate the best of what the country has to offer. So this Thanksgiving, as friends and family gather around the table, they’re encouraged to “pick cider” and raise a toast to traditions old and new. The public is encouraged to post cider photos to Instagram with #PickCider for a chance to win Pick Cider gear. Learn more at www.PickCider.com. Celebrating the Northwest's bounty, Portland Cider Co.’s seasonal ciders are inspired by local farmers and based on harvest times. Cranberry joins the seasonal bottle lineup that includes Pineapple, Pumpkin Spice, and Concord Grape. Portland Cider Co.’s Cranberry Cider is available now through early January in 22 oz. bottles and draft kegs. It can be purchased at Portland Cider Co.’s two taprooms and at select retailers in Oregon and Washington. Visit www.portlandcider.com/cranberry for more information.